From the hallowed halls of Oxford University came the inspiration to study early modern women's writing. Surrounded by the world's top Renaissance scholars, Professor Ros Smith began to explore the world of women's writing from the 16th and17th centuries. "It's a strange world with some recognisable and some very unfamiliar elements - that's what encapsulates the oddness of studying the past. I find that tension very interesting. You think you understand something but then you dig deeper and find there's lots more to explore," Professor Smith said. At that time, research into early modern women's writing was in its infancy. Today it's a burgeoning field with over 100 scholars working in the area. 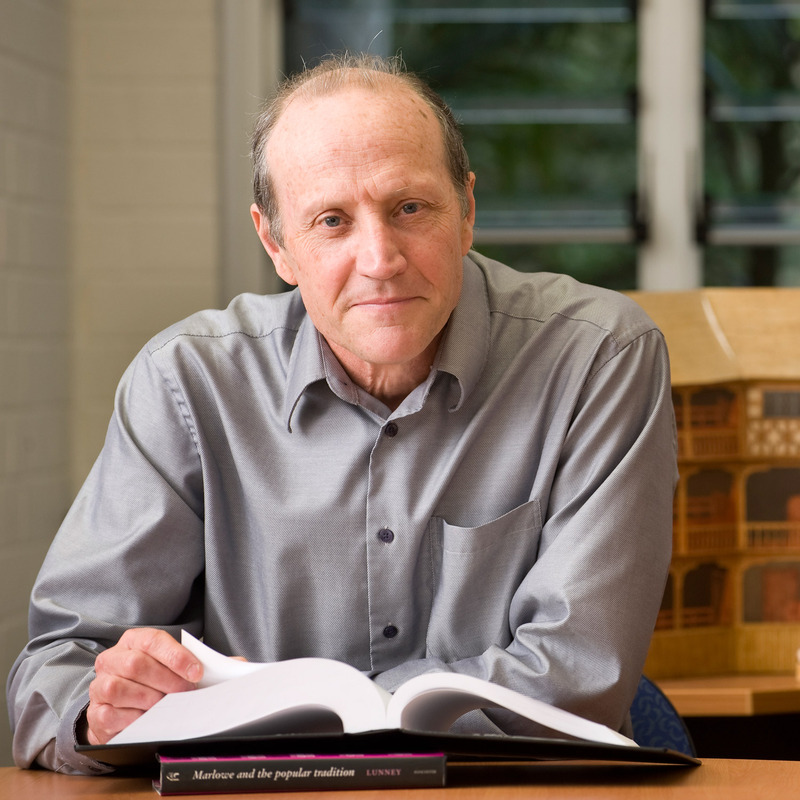 New appointments in 2019 means there is now a group of seven early modern literature specialists based at the University of Newcastle – the largest concentration in Australia. 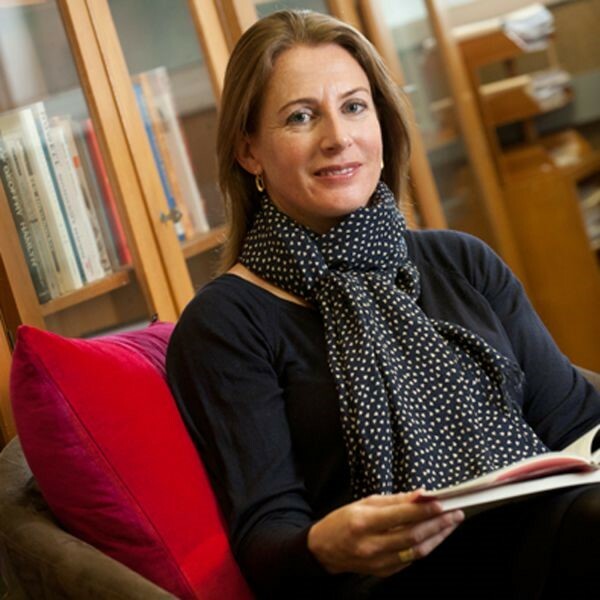 Professor Smith has led international teams of researchers to ARC DP success in 2012 and 2016, and currently holds an ARC Future Fellowship (2019-2022) on early modern women’s marginalia. 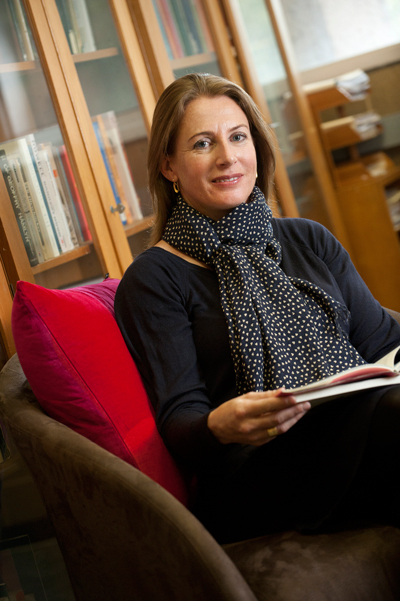 As part of her Future Fellowship, Professor Smith will partner with the Centre for Early Modern Studies at the University of Oxford and the Folger Shakespeare library in Washington. "When I started researching in this field, it was exciting and cutting-edge work because there was hardly anyone doing it. I wanted to understand, from a feminist perspective, what early modern women's writing can tell us about gender and culture in the Renaissance and across the ages." "Women have always been half the population, but their contribution to the literature of the past was once thought to be negligible. My work, alongside that of others in the field, has discovered that women did write an enormous amount in the early modern period, in a variety of forms from private letters to major published romances." "Through their writing, they also contributed to literary, religious and political cultural life in important ways. Understanding the active literary roles that women had in the past changes the way we think about women's literary agency and ability in the present. It also reconfigures the way we think about the early modern period – it is not just a period dominated by men but one in which women had vital roles in shaping the culture," Professor Smith said. A career turning point came with the co-founding of the Early Modern Women's Research Network (EMWRN) at the University of Newcastle in 2008, with her colleague Professor Patricia Pender. 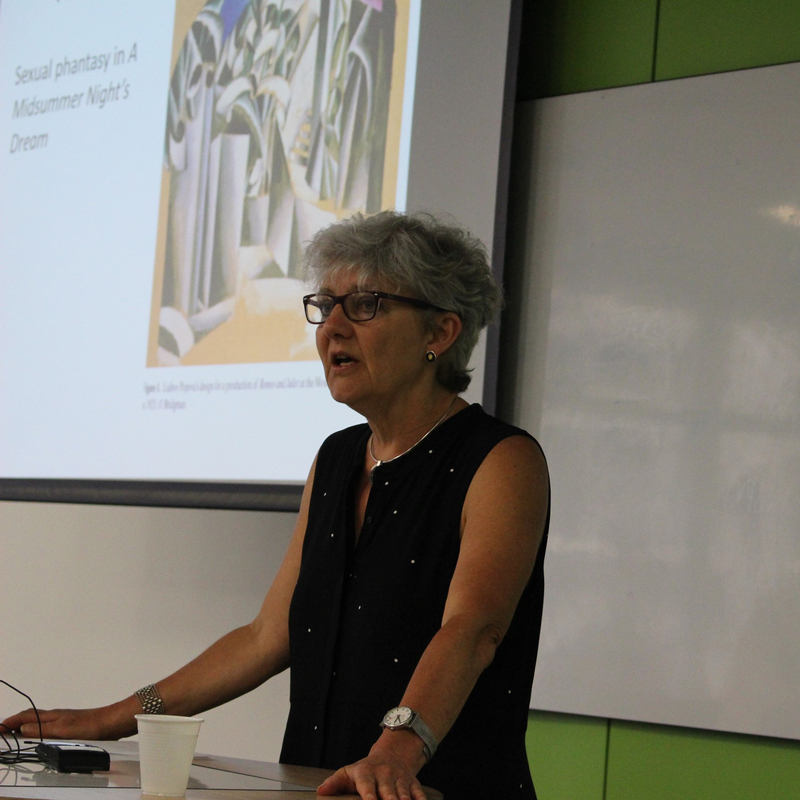 "Prior to the establishment of the network, scholars working in the field of early modern women's writing in Australia were quite isolated and disconnected," Professor Smith said. 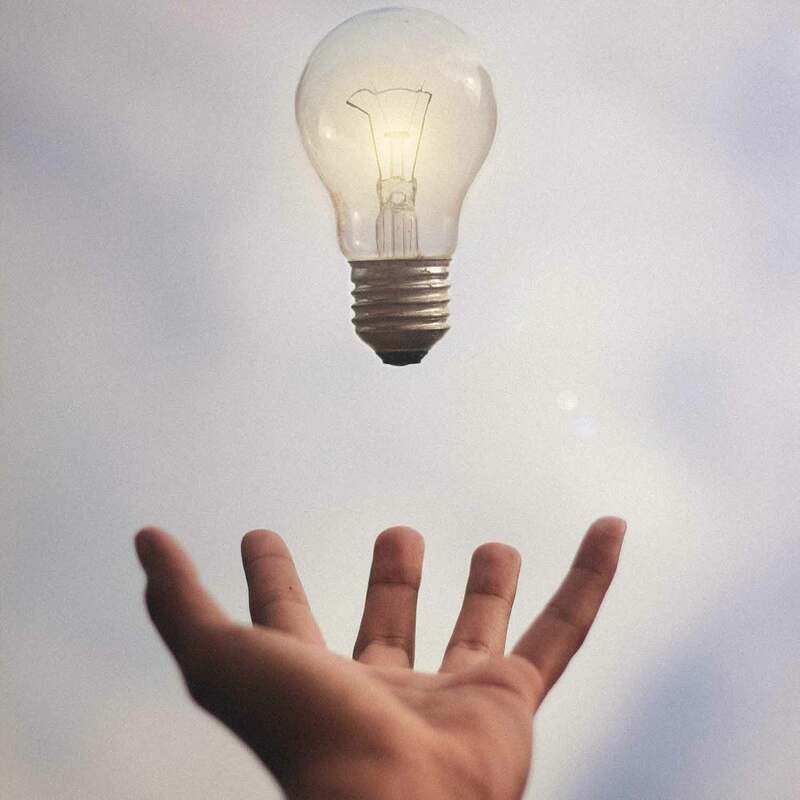 "But we've been able to bring together a broad range of well-known scholars from across Australia, as well as international scholars who are at the top of their field and run similar networks internationally." "This joining of the minds has allowed us to become a really effective network and we have built our reputation in the field to become one of its most dynamic and generative research groups nationally and internationally," Professor Smith said. In addition to her ongoing research, Professor Smith will take up a senior leadership role as the Acting Pro Vice-Chancellor (Research and Innovation) for a six month period. “This unique opportunity will extend my capacity to lead research, to understand research strategy across disciplines and faculties, as well as to mentor and train the next generation of researchers at my university” Professor Smith said. 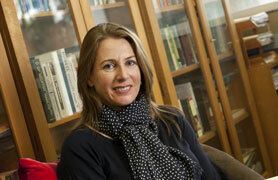 Ros Smith examines the contribution of female writers to the culture of the early modern era. My primary field of research is Renaissance literature, specialising in women's poetry, and the relationships between genre, politics and history in the period. 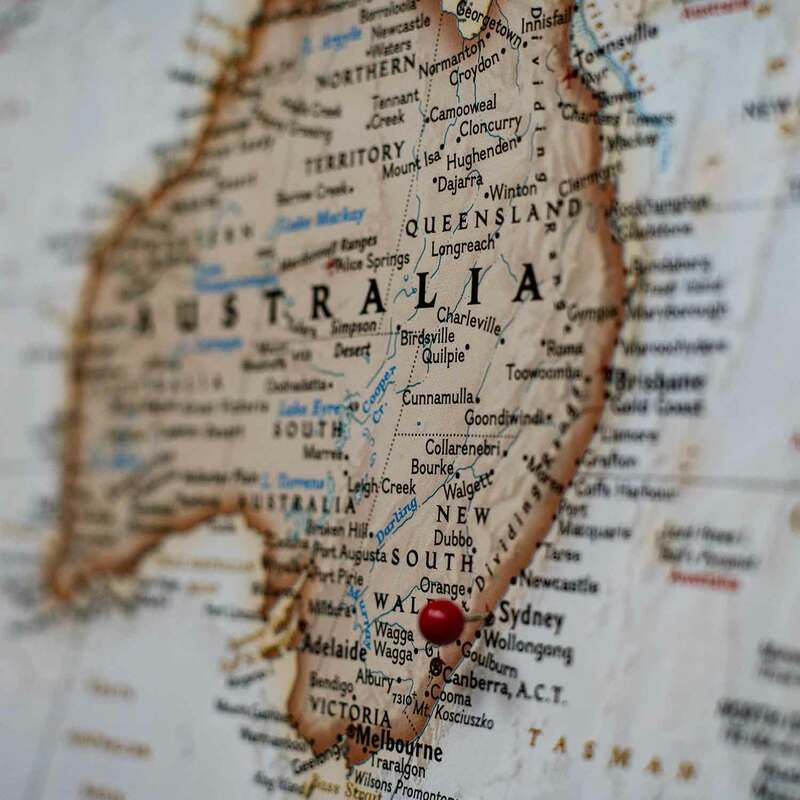 My secondary field is in true crime writing in Australia, examining a neglected but increasingly central popular genre and its relationship to constructions of Australian nationalism. 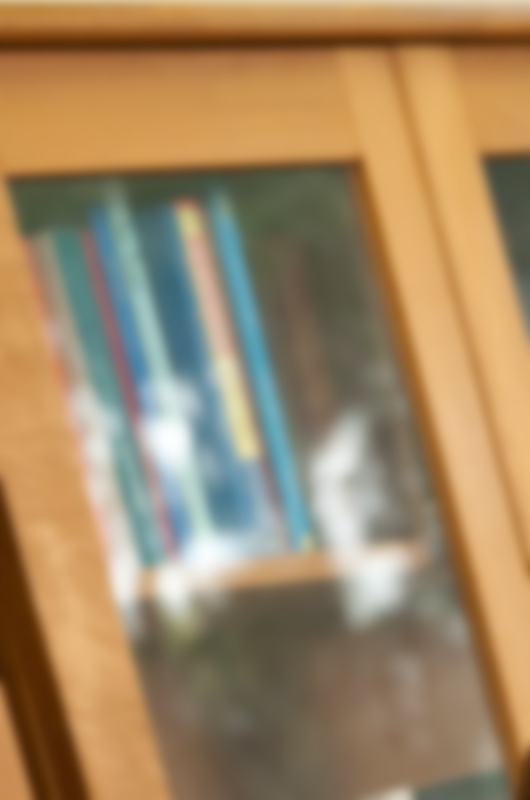 My teaching expertise, developed at the Universities of Newcastle, Oxford and London, is in the fields of Renaissance literature and contemporary Australian literature, with a special interest in women's writing and true crime. I have taught at all levels in both fields, developing a number of new courses and majors. I am also co-convenor of the Early Modern Women Research Network, and directed the Centre for 21st Century Humanities in 2018. I was a member of the ARC College of Experts, HCA panel (2015-17). © 2018 Informa UK Limited, trading as Taylor & Francis Group. This essay examines sixteenth-century women¿s marginalia in devotional books as a mode of transmission, particularly in circumstances of where early modern women themselves were in circumstance of limited circulation, under house arrest or imprisoned. Recent work on prison literature has highlighted the importance of the prison as a crucible for writing in early modern England. However, it has focused less on the material cultures through which such texts were circulated, which for women writers in particular included marginal annotations to texts then circulated through domestic and coterie circles to a broader world. Anne Boleyn, Jane Dudley, Elizabeth Tudor and Mary Stuart all circulated writing as marginalia while under forms of imprisonment, providing a means of political engagement through lamentation, critique and protest. This essay uncovers the ways in which such texts constructed and disguised their political objectives, as well as the material means through which these prison poems were transmitted, showing the ways in which material and rhetorical cultures operated together to make meaning in this neglected group of texts. p16CDKN2 specifically binds to and inhibits the cyclin-dependent kinases CDK4 and CDK6, which function as regulators of cell cycle progression in G1 by contributing to the phosphorylation of the retinoblastoma protein (pRB). Human cell lines lacking functional pRB contain high levels of p16 RNA and protein, suggesting a negative feedback loop by which pRB might regulate p16 expression in late G1. By a combination of nuclear run-on assays and promoter analyses in human fibroblasts expressing a temperature-sensitive simian virus 40 T antigen, we show that p16 transcription is affected by the status of pRB and define a region in the p16 promoter that is required for this response. However, the effect is not sufficient to account for the differences in p16 RNA levels between pRB-positive and -negative cells. Moreover, p16 RNA is extremely stable, and the levels do not change appreciably during the cell cycle. Primary human fibroblasts express very low levels of p16, but the RNA and protein accumulate in late-passage, senescent cells. The apparent overexpression of p16 in pRB-negative cell lines is therefore caused by at least two factors: loss of repression by pRB and an increase in the number of population doublings. Sustained growth of solid tumors and their metastasis requires paracrine signals between the tumor cells and the normal surrounding host tissue. One crucial function of these signals is to recruit endothelial cells and thus new blood vessels for the nourishment of the expanding tumor mass. In addition, the newly recruited blood vessels serve as routes for metastasis of the primary tumor. The proliferation and migration of endothelial cells in the vicinity of progressing tumors contrasts with a low turn-over rate of endothelial cells in the healthy adult. The only physiologic exception to this rule is the female reproductive cycle. Based on the selective angiogenesis in tumors in contrast to normal tissues, a blockade of this process should be feasible with few adverse effects. We present data on angiogenesis factor gene expression in tumors and discuss different methods of targeting these gene products. Furthermore, we discuss the potential to combine conventional cytotoxic treatments with this new therapeutic approach. © 1995 Informa UK Ltd All rights reserved: reproduction in whole or part not permitted. One in six primary human breast cancers has DNA amplification centered on the cyclin D1 gene (CCND1) on chromosome 11q13. This genetic abnormality is preferentially associated with estrogen-receptor positive tumors and may define a sub-class of patients with an adverse prognosis. Although CCND1 has the credentials of a cellular oncogene, being a target for chromosomal translocation and retroviral integration, the 11q13 amplicon encompasses several other markers and CCND1 is not the only candidate for the key gene on the amplified DNA. To assess their relative importance, we have constructed a physical map of the amplified DNA and compared the extent and frequency of amplification across the region. Since it is likely that the gene providing the selective force for amplification will be expressed at elevated levels, we have also examined expression of both RNA and protein. By these criteria, cyclin D1 remains the strongest candidate for the key oncogene on the amplicon and we are currently investigating the functional consequences of its over-expression. © 1995 Kluwer Academic Publishers. In this paper we describe how research on the mouse mammary tumor virus model of breast cancer resulted in the identification of an amplified region of DNA on human chromosome 11 band q13. This amplification occurs in approximately 15% of primary breast cancers. Several candidate oncogenes map within the amplicon but by analysing expression of these genes a strong case can be made for a role for cyclin D1 in tumorigenesis. Immunohistochemical staining indicates that cyclin D1 is expressed at elevated levels in around 40% of breast cancers, including those with the 11q13 amplification. The potential function of cyclin D1 as a regulator of early cell division cycle events would be consistent with a role in neoplasia. © 1995. To determine the genomic organization of the mouse cyclin D1 locus (Cyl-1), a series of cosmids and cDNAs were recovered by hybridization with a genomic probe representing the 5&apos; end of the homologous human gene, CCND1. Primer extension indicated that transcripts originate from one of three adjacent nucleotides at a single start site. Two overlapping cDNA clones that essentially accounted for the complete sequence of the larger 4.0-kb Cyl-1 transcript were characterized. A combination of RNase protection and sequencing across intron-exon boundaries established that the gene is organized into five coding exons with a long 3&apos; untranslated region. Repeated attempts to isolate clones corresponding to the minor 3.5-kb RNA were compromised by the presence of an internal poly(A) domain. However, hybridization with specific probes revealed that the minor transcript lacks approximately 800 nucleotides from the 3&apos; end of the major transcript and may be generated by a novel mechanism or by RNA processing. © 1995 Academic Press, Inc.
Immunohistochemical staining with a monoclonal antibody against human cyclin D1 can be used to identify breast cancers that have an amplification of the q13 region of chromosome 11. In general, the intensity of staining is directly proportional to the degree of DNA amplification. In two unusual tumors, in which the CCND1 locus is highly amplified but staining is relatively weak, it appears that the DNA has undergone rearrangement and that the amplified/rearranged CCND1 allele may have reduced transcriptional activity. More significantly, the immunohistochemical technique identifies additional tumors in which the cyclin D1 gene is overexpressed with only marginal or undetectable increases in copy number, implying that other mechanisms can lead to deregulated expression. These results suggest that the frequency of overexpression is much higher than previously concluded from DNA-based analyses and that more than one-third of human breast cancers may contain excessive levels of cyclin D1. The technique we describe should facilitate the detection of this abnormality in a clinical setting and clarify its prognostic significance. © 1994, American Association for Cancer Research. All rights reserved. We have isolated cDNA and genomic clones for the murine FGF-7 gene and examined its expression throughout development. Transcripts were transiently detected in the developing myocardium, differentially regulated between the atrium and ventricle. The gene was also expressed in the myotomes of the somites, coincident with FGF-4 and FGF-5 transcripts, and was detected transiently in cleaved muscles. Regional expression was detected in the ventricular zone of the developing forebrain at 14.5 d.p.c. Later in development, FGF-7 RNA was detected in mesenchymal tissues suggesting a role in epithelial-mesenchymal interactions and in the dermis consistent with its proposed role as a keratinocyte mitogen. Our results suggest that FGF-7 is likely to have diverse roles during development. © 1994. Amplification of markers centred on band q13 of human chromosome 11 is a consistent feature in a subset of oestrogen receptor positive breast cancers. Although the amplification was initially scored via FGF3/INT2, which has strong credentials as a mammary oncogene, current data suggest that some other gene on 11q13 provides the driving force for amplification. Here we have reviewed our understanding of the amplified DNA, the genes it encompasses and the evidence in favour of two candidate oncogenes, CCND1 and EMS1. As well as being among the most frequently amplified markers in the region, these genes are expressed at elevated levels as a consequence of amplification, and their predicted functions would be consistent with a role in tumorigenesis. Irrespective of the final conclusions regarding their biological relevance, the overexpression of CCND1 or EMS1 should provide a more amenable assay for the amplification and help to clarify its clinical significance. By isolating genomic DNA clones that encompass the mouse Cyl-1 (cyclin D1) locus, we have identified a putative CpG island close to the 5&apos; end of the gene. Pulsed-field gel electrophoresis with probes derived from either the 5&apos; or 3&apos; side of the CpG island established physical linkage to two independent markers on mouse chromosome 7, in a region that is syntenic with human chromosome 11q13. On the 3&apos; side, Cyl-1 is approximately 75 kb from Hst-1 and Int-2, although there is an additional CpG island in the intervening DNA, while on the 5&apos; side, Cyl-1 is less than 300 kb from Fis-1, an integration site for Friend murine leukaemia virus. As there is no intervening CpG island, proviral insertions at Fis-1 could influence the expression of Cyl-1 and we describe two virally induced tumours in which this appears to be the case. The data suggest that proviral insertions near Cyl-1 in mouse lymphomas are functionally equivalent to the BCL1 translocations that activate cyclin D1 expression in human B-cell malignancies. We have developed transgenic mice in which expression of the mouse int-2/Fgf-3 gene is regulated by a single long terminal repeat from mouse mammary tumor virus. Such mice contain and transmit a replica of the activated int-2/Fgf-3 allele present in a spontaneous mammary tumor from a BR6 mouse. Although free of infectious mouse mammary tumor virus and with a different genetic background, the transgenic mice develop pregnancy-responsive mammary epithelial proliferations that are similar to the early stages of tumorigenesis in the BR6 strain. Histological examination revealed that most of these tumors showed pronounced tubular and acinar structures, features usually associated with morphological differentiation. In some cases, the tumors were locally invasive, causing disruption of the dermis which manifested itself as local hair loss. In situ hybridization showed that patterns of transgene expression in the abnormal glands were markedly nonuniform. In contrast, mouse mammary tumor virus-induced neoplasms showed more uniform expression of int-2/Fgf-3, as did the urogenital epithelial proliferations that occur among males of this transgenic line. These data suggest that mammary tumors in virally infected animals may depend primarily on autocrine stimulation by the int-2/Fgf-3 gene product, whereas both autocrine and paracrine mechanisms may contribute to tumors and hyperplasias found in transgenic animals. The int-2 gene, which encodes a member of the fibroblast growth factor family, is expressed at specific sites and times during mouse development. In certain embryonal carcinoma cell lines, multiple int-2 transcripts accumulate when the cells are induced to differentiate with retinoic acid and dibutyryl cyclic AMP. Nuclear run-on analyses indicate that the apparent induction of int-2 expression results from an increase in the rate of transcription initiation. Six distinct types of RNA have been delineated, originating from three promoters and terminating at either of two polyadenylation sites. Since each transcript appears to encode the same protein, this complexity may reflect the need for lineage-specific or differentiation-dependent control of expression. By comparing the kinetics of induction and turnover of the different RNA species, we show that the choice of promoter or length of the 3&apos;-untranslated region has no significant effect on the half-lives of the various mRNAs. To further evaluate control at the transcriptional level, we have shown that a 1.7-kilobase fragment of int-2 genomic DNA, when fused to the chloramphenicol acetyltransferase gene, can act as a regulated promoter(s) in differentiated versus undifferentiated embryonal carcinoma cells. This segment of DNA encompasses the three promoter regions previously delineated by RNase mapping plus about 900 base pairs of additional upstream sequences. We examined the effects of mouse mammary tumor virus integration on the multiple RNA transcripts expressed from the int-2 proto-oncogene in virally induced breast tumors. Proviral insertion either upstream or downstream of the gene could simultaneously activate transcription from three dissimilar int-2 promoters. In some tumors, the activating provirus lies within the transcription unit and disrupts the structures of the various RNAs. Insertions in the 5&apos; region of the gene had complex effects depending on the orientation and position of the provirus relative to the three promoters and intron-exon boundaries. RNase protection experiments identified transcripts initiated in the viral long terminal repeat, at normal and cryptic sites in the int-2 sequences, and from cryptic promoters in an inverted provirus. At the 3&apos; end, insertions occurred within the untranslated trailer and provided alternative termination signals that substituted for one or both of the normal the poly(A) addition sites. However, in no instance, of the 20 tumors analyzed in detail, did a provirus perturb the presumed open reading frame of the gene. These data strongly implicate the normal product of the int-2 gene, which is related to the fibroblast growth factor family, as a contributory factor in virally induced mammary tumors. We have analysed DNA from 183 primary breast cancers for amplification or rearrangement of a number of cellular proto-oncogenes, focusing primarily on a cluster of markers on the long arm of chromosome 11. Two of these oncogenes, INT2 and HST1, both of which encode members of the fibroblast growth factor family, are implicated in the generation of virally induced mammary tumours in mice. Here we confirm earlier reports that the q13 region of chromosome 11, in which these genes are tandemly linked, is modestly amplified in approximately 15% of primary human breast cancers. This amplification is confined, with one exception, to cases in which the oestrogen receptor (ER) levels are in excess of 20 fmol/mg protein (P = 0.001). However, DNA amplification does not usually result in detectable expression of either the INT2 or HST1 gene. The data imply that some other gene in the vicinity must contribute to the development of a subset of ER-positive tumours and that assessing the amplification of this region of DNA may be of value in defining a separate category of ER-positive tumour. © 1990. The fibroblast growth factor-related protooncogenes, int-2 and hst/k-FGF, are within 17 kilobase pairs of one another on mouse chromosome 7 and are in the same transcriptional orientation. Approximately 70% of tumors induced in BR6 mice by mouse mammary tumor virus have proviral insertions adjacent to the int-2 gene. We find that the murine homolog of the hst/k-FGF gene can also be transcriptionally activated by the insertion of mouse mammary tumor virus DNA either upstream or downstream of the gene. In most tumors, only one of these adjacent genes is activated, but in some cases both genes are expressed. One of the hst-expressing tumors also has a virally activated int-3 gene. At least five distinct cellular genes (int-1, -2, -3, -4, and hst/k-FGF) can therefore contribute, either singly or in concert, to the development of histologically indistinguishable mammary tumors in mice infected by mouse mammary tumor virus. We report the genomic organization and DNA sequence of the human homologue of int-2, a proto-oncogene implicated in virally induced mammary tumours in the mouse, and expressed at specific sites and times during embryogenesis. Direct comparisons with the coding domains of mouse int-2 allowed us to delineate the intron-exon boundaries of the human gene. These boundaries were subsequently confirmed by ribonuclease protection analyses of the single 1.7 kilobase (kb) int-2 transcript detectable in the human teratocarcinoma cell line, Tera-2. The data suggest that human int-2 may also function in embryonic lineages but that its transcription may be less complex than in the mouse. The predicted human protein comprises 239 amino acids and is 89% homologous to its murine counterpart, except at the carboxy terminus. This divergence occurs distal to the region of int-2 that shows homology to other members of the FGF family of growth modulators and oncogenes. Mouse embryonal carcinoma cell lines that differ in their patterns of expression of the potential oncogene int-2 have been exploited in a structural analysis of the multiple RNA transcripts characteristic of this gene. Ribonuclease protection experiments indicate that four major classes of int-2 RNA initiate at heterogeneous cap sites within two distinct promoter regions, P1 and P2, spanning approximately 50 and 150 bp respectively. The more downstream promoter P2 is located in a region of the DNA that constitutes an intron in RNA transcripts that initiate at the upstream promoter P1. Otherwise, all four RNA structures share the same splice donor and acceptor sites that define the boundaries of the second and third exons. Further complexity arises through usage of two distinct polyadenylation signals, both variants of the normal consensus, that are separated by 1100 bp. Despite these structural variations, the results suggest that all four major classes of RNA encode the same protein product which shows significant homology to the family of heparin-binding proteins typified by basic fibroblast growth factor (FGF). We sequenced two recombinant DNA clones constituting a single provirus of the milk-transmitted mouse mammary tumor virus characteristic of BR6 mice. The complete provirus is 9,901 base pairs long, flanked by 6 base-pair duplications of cellular DNA at the site of integration. Five extensive blocks of open reading frame corresponding to the gag gene, the presumed protease, the pol and env genes, and the open reading frame orf within the long terminal repeat of the provirus were readily discernible. Translation of gag, protease, and pol involved three different translational reading frames to produce the three overlapping polyprotein precursors Pr77, Pr110, and Pr160 found in virus-infected cells. Synthesis of the reverse transcriptase and endonuclease therefore required two separate frameshifts to suppress the termination codons at the ends of the Pr77 and Pr110 domains. Direct evidence is presented for translational readthrough of both stop codons in an in vitro protein synthesis system. The third (4-cell) and fourth (8-cell) cell cycles of early mouse development have been analysed in populations of blastomeres synchronized to the preceding cleavage division. DNA content was measured microdensitometrically. The entry of blastomeres into these cell cycles showed considerable heterogeneity both within and between individual embryos. This heterogeneity was greater in the fourth than in the third cell cycle. The component phases of the third cell cycle were estimated as G 1 = 1h, S = 7h, and G 2 + M = 2-5h, and those of the fourth cell cycle as G 1 = 2h, S = 7h, and G 2 + M = 1-3h. In the course of analyzing sites of proviral integration in tumors induced by mouse mammary tumor virus (MMTV), we have isolated recombinant DNA clones corresponding to the 5&apos; and 3&apos; ends of four endogenous MMTV proviruses present in BALB/c and BR6 mice. This has permitted the structural characterization of each locus by detailed restriction mapping and the preparation of DNA probes specific for the cellular sequences flanking each provirus. These probes have been used to trace the segregation patterns of the proviruses, designated Mtv-8, Mtv-9, Mtv-17, and Mtv-21, in a panel of inbred strains of laboratory mice and to map Mtv-17 and Mtv-21 to mouse chromosomes 4 and 8, respectively. The unambiguous resolution of these four proviruses on Southern blots has greatly facilitated the analysis of other endogenous MMTV proviruses in these inbred mice. The effects of aphidicolin, a reversible inhibitor of DNA polymerase alpha, both on replication and on development of the mouse embryo from the 2- and 4-cell stages to the compacted late 8-cell stage have been assessed. The continuous presence of aphidicolin from G 1 of the 4-cell stage resulted in inhibition of DNA replication and prevention of division from 4 to 8 cells, but was without effect on the timing or incidence of cell flattening, surface polarization and cytoplasmic polarization. The continuous presence of aphidicolin from G 1 of the 2-cell stage resulted in inhibition of DNA replication, division, and polarization. Some slight intercellular flattening in a few embryos did occur. If addition of aphidicolin was delayed by 10 h to early in G 2 of the 2-cell stage, further rounds of replication were blocked and some embryos failed to cleave to 4-cells. Nevertheless, almost all embryos showed evidence of flattening and polarization regardless of cell number. In contrast, if aphidicolin was added in G 1 of th 2-cell stage and removed after 10h, the cells showed delayed DNA replication, little evidence of division, and no cell flattening or polarization. We conclude that DNA replication at the 2-cell stage may be essential for the components of compaction studied, but that DNA replication at the 4- and 8-cell stages is not. Approximately 50% of tumors induced by mouse mammary tumor virus (MMTV) contain an acquired provirus within a limited region of chromosomal DNA, termed int-2. We have extended our previous characterization of this locus and have mapped provirus integration sites in 21 independent tumors. Although integration occurs at multiple sites, proviruses within int-2 are distributed into two oppositely oriented groups whose transcription is directed away from a central domain. Provirus insertion in int-2 is accompanied by expression of RNA derived, at least in part, from this central domain. Since the RNA is not detected in normal mammary tissue, we conclude that MMTV integration activates the expression of a cellular gene within int-2 and that this event may contribute to tumorigenesis. © 1984. We have prepared specific probes for unique-sequence cellular DNA adjacent to each of the newly integrated proviruses in tumors induced by mouse mammary tumor virus (MMTV). The use of such probes to screen a large number of independent mammary tumors in the BR6 strain of mouse has indicated that in at least 17 out of the 40 tumors examined so far, an MMTV provirus has integrated into a common chromosomal domain. A 10 kb Eco RI fragment of single copy DNA from this region has been isolated and partially characterized by restriction enzyme mapping. Of the proviruses located within this fragment in different tumors, all but one are complete, in the same orientation, and clustered within about 3 kb of cellular DNA. These findings are consistent with an insertional mutagenesis model for tumorigenesis by MMTV, in which the integration of a provirus in a particular region of cellular DNA may activate a neighboring oncogene. The region we describe here appears to be different from that reported for mammary tumors in the C3H strain of mouse. © 1983. In vitro protein synthesis and DNA sequence analysis indicate that mouse mammary tumor virus differs from other well-characterized retroviruses in that the long terminal repeat region of the provirus has the capacity to encode proteins. Different exogenously transmitted mouse mammary tumor virus strains and endogenous proviral units conserved this open reading frame feature in the long terminal repeat despite a variation in nucleotide sequence. The proteins encoded by the different long terminal repeats were clearly related, but showed minor variations in size and tryptic peptide maps. In each case, the largest in vitro product had a molecular weight of about 36,000 to 37,000, suggesting that the open reading frame sequences must extend for approximately 1,000 nucleotides beginning at the extreme 5&apos; end of the long terminal repeat. The fact that the reading frame was conserved among these viruses argues in favor of an in vivo function for the open reading frame protein. The integrated proviral DNA of RNA tumour viruses is bounded by long terminal repeat (LTR) segments of several hundred base pairs which result from duplication of sequences from both the 5&apos; and 3&apos; ends of the viral genome RNA1-3. Recently, DNA sequence analysis of the LTRs of several retroviruses has indicated that this region of the provirus may contain regulatory functions for viral RNA transcription 4-8. In this connection, mouse mammary tumour virus (MuMTV) is of particular interest in that transcription of the viral RNA can be specifically modulated by glucocorticoid hormones, suggesting that the site of steroid action may be contained within the LTR9. Moreover, the LTR of MuMTV is unusually long, extending for about 1,300 base pairs. We now present data which suggest that, in contrast with other retroviruses, the MuMTV LTR includes approximately 1,000 nucleotides in an open reading frame, capable of encoding a series of polypeptides which are quite distinct from any of the known structural components of MuMTV virions. These proteins can be expressed in vitro from cloned, recombinant DNA in which the MuMTV LTR has been inserted into the ampicillin-resistance gene of a bacterial plasmid. Tryptic peptide mapping has confirmed that these products are identical to the analogous series of proteins identified by in vitro translation of polyadenylated fragments of MuMTV genome RNA10. © 1981 Nature Publishing Group. int-2 was discovered as a proto-oncogene transcriptionally activated by MMTV proviral insertion during mammary tumorigenesis in the mouse. Sequence analysis showed int-2 to be a member of the fibroblast growth factor family of genes. In normal breast and most other adult mouse tissues, int-2 expression was not detected except for low levels in brain and testis. However, using in situ hybridization, expression was found at a number of sites during embryonic development, from day 7 until birth. An analysis of the int-2 transcripts found in embryonal carcinoma cells revealed six major classes of RNA initiating at three promoters and terminating at either of two polyadenylation sites. Despite the transcriptional complexities, all size classes of RNA encompass the same open reading frame. Using an SV40 early promoter to drive transcription of an int-2 cDNA in COS-1 cells, several proteins were observed. These were shown to be generated by initiation from either of two codons: One, a CUG, leads to a product which localizes extensively to the cell nucleus and partially to the secretory pathway. In contrast, initiation at a downstream AUG codon results in quantitative translocation across the endoplasmic reticulum and the accumulation of products ranging in size from 27.5 x 103M(r) to 31.5 x 103M(r) in organelles of the secretory pathway. These proteins represented glycosylated and non-glycosylated forms of the same primary product with or without the signal peptide removed. These findings suggest the potential for a dual role of int-2; an autocrine function acting at the cell nucleus, and a possible paracrine action through a secreted product. This grant investigates early modern women's participation in the mode of complaint, culminating in a symposium held in the final year of funding at VUW. It is a companion project to the ARC DP headed by A/Prof Rosalind Smith, Early Modern Women and the Poetry of Complaint, 1550-1640. 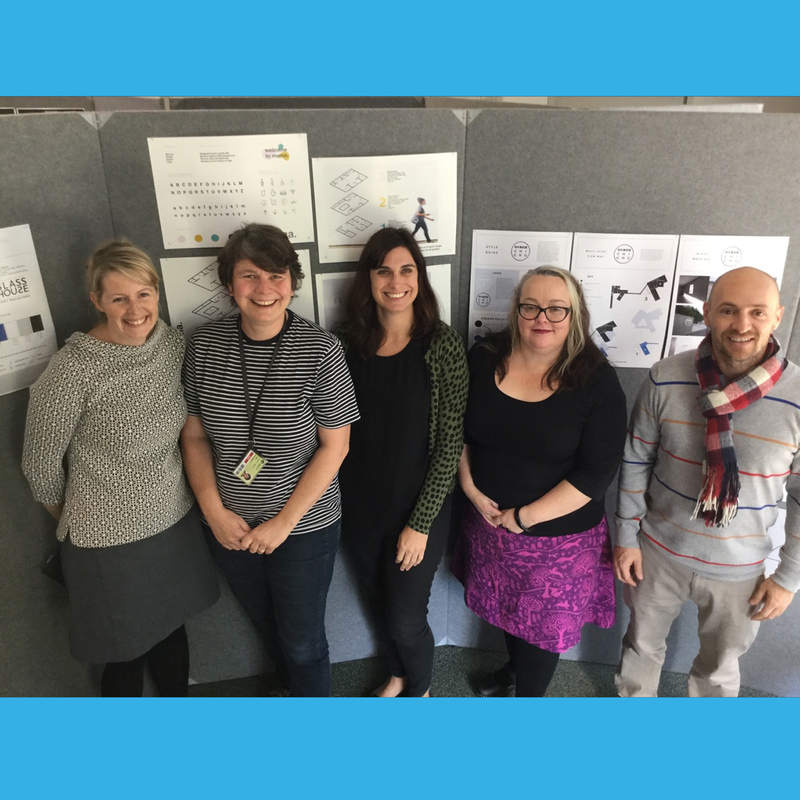 Prof Hugh Craig; Prof Lisa Adkins; A/Prof Ros Smith; Prof Roland Boer; Prof Philip Dwyer; Dr Bill Palmer; A/Prof Mark Harvey; Prof Victoria Haskins; Prof Lyndall Ryan;; Dr Trisha Pender. 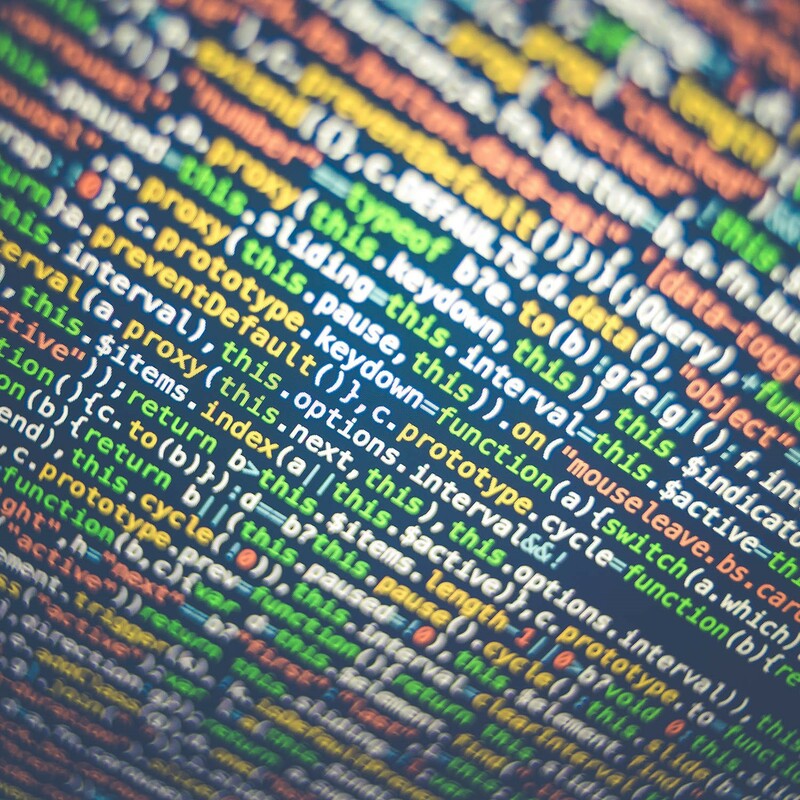 This news story details a startup competition being held by the Centre for 21st Century Humanities. 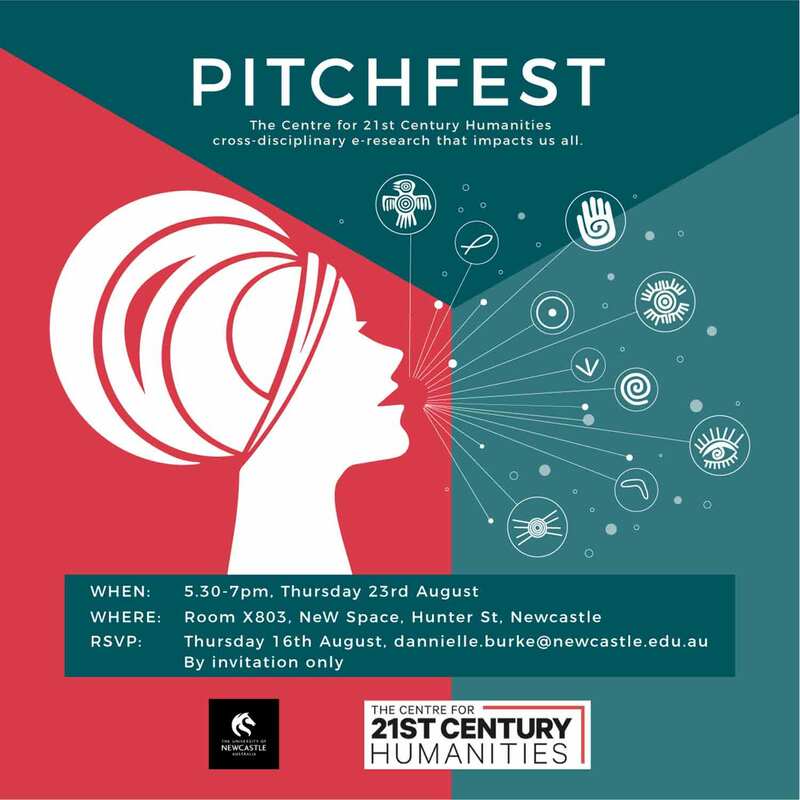 Pitchfest 2018 was held by the Centre for 21st Century Humanities in August and invited industry to partner with the centre. 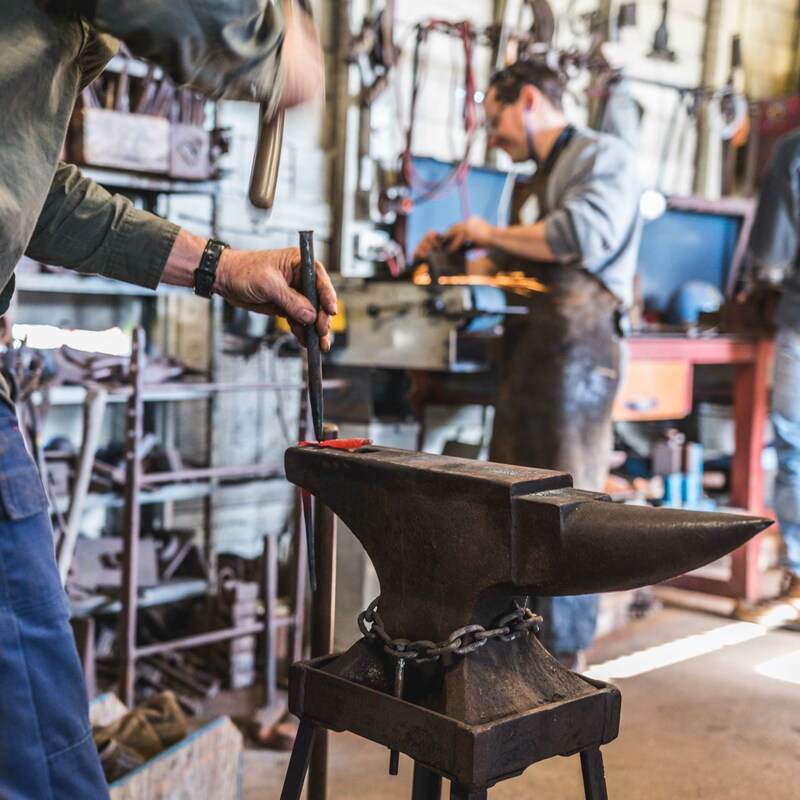 This page contains a news story about the Blacksmith Repair Day supported by the Centre for 21st Century Humanities. 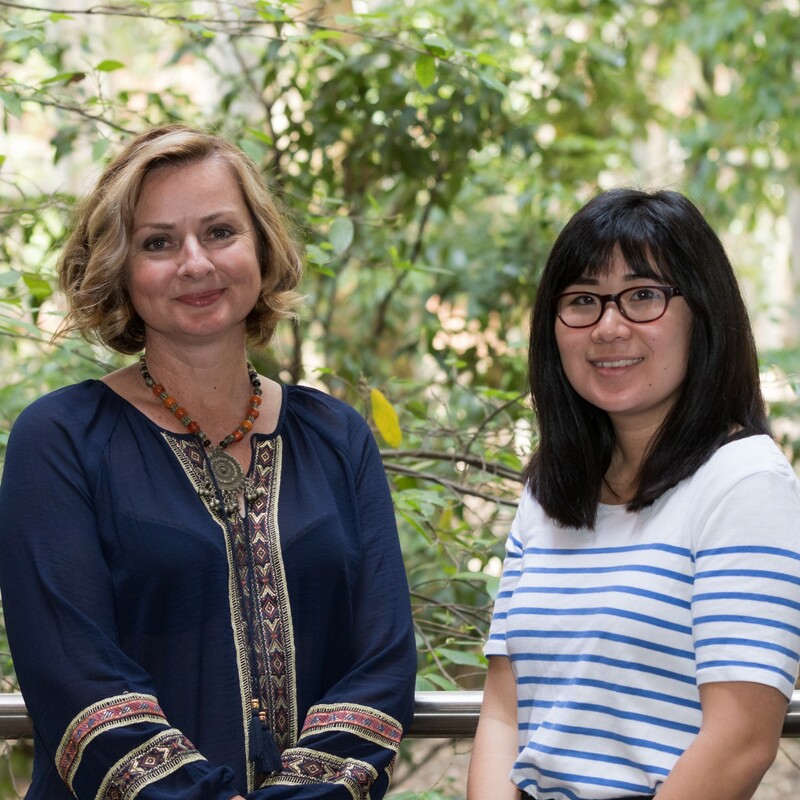 Deputy Director of the Centre for 21st Century Humanities and the Early Modern Women Research Network, Professor Ros Smith is leading the development of a new Centre bringing together Chinese and Australian early modern studies academics. What does the poetry of the disadvantaged people of the Renaissance tell us about the culture of that time? Think Mary, Queen of Scots and a few key facts probably come to mind: she was Catholic, she was imprisoned and she had her head chopped off.